Hemos crecido en la comprensión de que toda la creación y la vida está interconectado y manifiesta el amor de Dios Uno y Trino. El Espíritu nos ha enseñado a ver que nuestra misión de compartir “vida en plenitud” no abarca solo a los pueblos, sino también toda la creación. Somos conscientes de que la Madre Tierra ha sido herida y privada de su dignidad. Si ella sufre, sufre la vida. 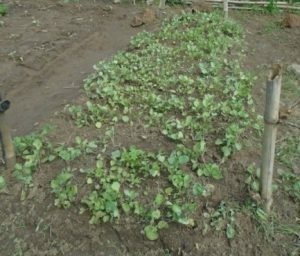 Inspiradas por la encíclica – Laudato Si’ – la Congregación se centra en la Comunión con la Creación de diversas maneras durante el año 2016. 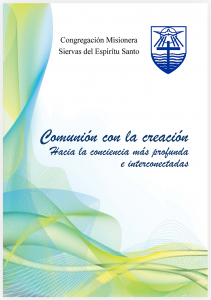 Este libro “Comunión con la creación – hacia una conciencia más profunda e interconectada”, es una contribución. La mayoría de los artículos fueron escritos por nuestras hermanas. 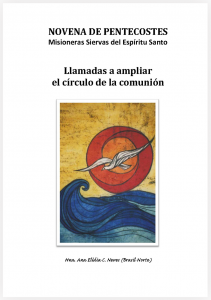 De esta manera, este libro presenta el caleidoscopio de nuestra Congregación y la amplitud de su círculo. Expresa la profundidad, la belleza y la variedad de los diferentes enfoques, como también las iniciativas de nuestras hermanas y amigos. Esta Novena de Pentecostés es una iniciativa de la Dirección General de la Congregación a fin de prepararnos para celebrar la fiesta de Pentecostés, a partir de lo que es propio nuestro, como Misioneras Siervas del Espíritu Santo. 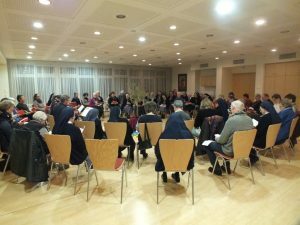 El contenido de los encuentros fue elaborado a partir del documento de nuestras Direcciones Congregacionales, en el espíritu del 14º Capítulo General e inspirado en la carta encíclica Laudato Si’, del Papa Francisco. Cada uno de los encuentros de la novena tiene como propuesta la profundización de un determinado aspecto de las Direcciones Congregacionales. Para transformar en vida todo lo que rezamos durante la novena, será importante hacer un gesto simbólico y profético que, de alguna forma, concretice alguna de las propuestas de las Direcciones Congregacionales. Ese gesto puede ser una respuesta de la comunidad a una situación de injusticia o de necesidad en la región donde se encuentra la comunidad, como también pueden expresar solidaridad con las personas o grupos que viven en situación de abandono o carencia, en el mismo lugar o país, o a nivel internacional. El gesto deberá ser fruto del discernimiento comunitario y hecho con la participación de las Hermanas, dentro de las posibilidades de la comunidad y de la manera que se considere más adecuada a su realidad. Si fuese necesario, la comunidad se reunirá fuera del momento celebrativo de la novena para decidir los aspectos prácticos de como encaminar el gesto escogido. El objetivo de ese gesto es vivenciar concretamente el discernimiento comunitario y motivar a la comunidad a dar pasos que ayude a ampliar el círculo de la comunión. Y, si es posible, cambiar sus estructuras y abrirse a las situaciones de la realidad que desafian su coherencia en la vivencia de la comunión con Dios, con la creación y con las personas, dentro y fuera de la Congregación. “We engage in a permanent community discernment of our priorities, with the eyes on the Good Samaritan who knew when to stop to help and when to hand over the wounded to the care of others” (DC). “Like the Good Samaritan we do not feel ashamed to touch the wounds of the suffering, but try to heal them with concrete gestures of love” Pope Francis. Pastoral Community: Help to a bedridden man without one of his legs, abandoned by his sons and in need. The wife works, but is not able to cover the most necessary with her salary. Thus, the SSpS Community of three Sisters, takes regularly something of ours to them and also tries to involve others to help them. Hospital Community – 4 Sisters: As community, each Sister took the commitment to welcome, dialogue and be delicate with all people, in spite of the aggressively found in the Hospital reality; constant attitude of discernment, searching the will of God in each situation they face; and, once a week, consciously seek unity with the whole Congregation during morning prayer. School Community: Widen the mission awareness among the Sisters and School Community for the care of the Environment; for the wellbeing of people through the collection of the solidarity seal with the aim to obtain wheelchairs for people in need. Thus we widen our vision outside, to others. Pastoral Community: Give attention to women in prison, teaching them something to improve their lives, through physical exercises to raise their self-esteem. 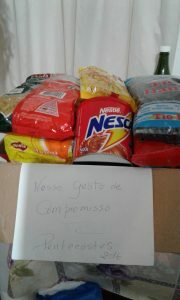 Social Centre Community in a favela: give lunch to those who collect the rubbish in the village and continue to give incentive the children in the Centre to a greater care of nature, helping them in small projects. 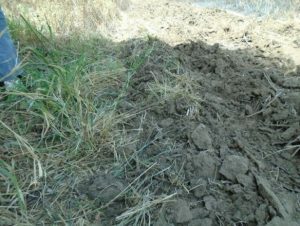 Pastoral Community in a poor parish in the interior: Give special attention to refer (forward) the fallen on the roads, streets, pubs – drunken, drug addicts or sick. Vocational Community: gesture to widen the Circle of Communion with neighbours and communities, the families of the barrio, independent of their religious faith. School Community: Visit families with sick people, taking them something to share. Hospital Community: Visit the people in situation of suffering outside the hospital; regular presence in the House of Recuperation of chemical addicts to reflect, celebrate and pray with them; in the hospital itself, pray the novena with the sick and workers, culminating with a special celebration. Old Age People’s Community: human treatment to all the old people, especially the poorest and excluded by their own family and society; take part in actions and mobilizations at regional and municipal level against the closing of the local Hospital of Charity. School Community: Solidarity with the most needed, giving special attention to those who work with us; projects with the students to collect selective waste and, awareness of the use of water; lunch without meat twice a week during one month and with this money help women in prison with articles of hygiene of personal use. 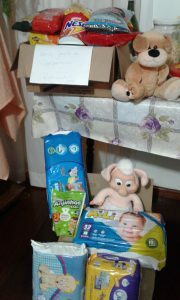 Provincial House Community: intensify the visits to neighbouring barrios, especially the sick; widen the ties of reception in joy, self giving and availability. Pastoral Community in the north of Brazil: Strengthen the ‘Pastoral da Criança’ (Children’s Pastoral), giving attention to women, pregnant women and children of 0 to 6 years of age through visits and moments of formation, together with the Municipal Social Worker and nurse; teach the women the confection of jams with seasonal fruit and the multi mixture with Amazonian products; re-use the disposable for the confection of arts material, helping the poorest families and collaborating with the preservation of our Common Home. 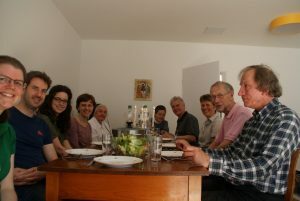 Pastoral Community that was just started end of April: Widen the circle of Communion, through the effort to know our neighbours and all the Parish communities and, with them, feel the real needs which our missionary community could attend. Pastoral Community in Parish without Parish Priest, in the most northern State of Brazil: Preparation of the feast of Pentecost in the 11 family prayer groups in the city, with the ‘Bandeira do Divino’ (Divine Flag),journing with the groups and, thus, include all the people who felt welcomed and valued by the Church; celebration with sharing as an expression of life, prayer, welcoming and the sense of being at home in the Church; preparation for the Baptism of children until seven years of age in the families of parents and grandparents, to thank God for the gift of the children´s life and to pray with the parents for the children, committing them to a greater participation and involvement in the ecclesial community and living of the Christian faith. As a community we commit ourselves to pray daily for our neighbours. The married couple in our neighbourhood has been out-of-work for six months now. Since both are no longer all that young, they are having a hard time to find new work. Through our encounters with them we try to strengthen their hope. Sr. Alicja and Sr. Annette – As a “gesture of commitment” in line with the Congregational Directions we thought of specifically paying attention to using less plastic. That requires a certain change in our habits and we are presently experimenting and working out strategies. Within our modest possibilities we want to contribute in this way to preserving creation. Foodstuffs, etc. without plastic often cost more. We are trying out how to manage this as far as possible without increasing our budget. 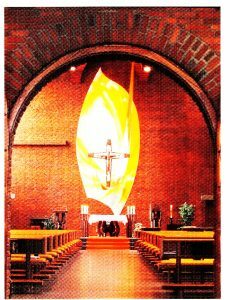 Before the proposal came from Rome, Sr. Lucia Regina had already planned the Pentecost Novena with several committed members of the Holy Spirit Mission Association, based on the texts that Sr. Anna Monika put together last year in preparation for the provincial chapter. We prayed the Novena in the evenings at 6 p.m. and it was led each time by a Sister and by a member of the Holy Spirit Mission Association. Since an invitation to join the Novena was carried by the parish newsletter and the press, there were always also people from Wicked and Wimbern coming to take part. In that way the “circle was widened” without that being the express purpose. But even like that it gives light and warmth, comfort and joy. We share our life with the old, weak and sick people whom we meet in daily life – e.g. during the shared meals, in the daily Eucharistic celebration, in shared festivities and celebrations. Our ears and hearts are open for their worries and needs. We accompany the dying residents of the Home. We try as far as we can to lighten the burden of the staff. But above all we are grateful for the many possibilities we have to there with and for other people. 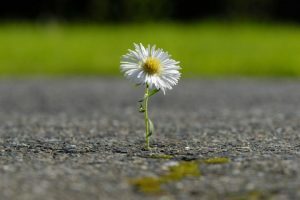 To widen the circle: After holy Mass on Sunday we will invite women for breakfast with us who are suffering from loneliness after the death of their husband and who have long been connected with us, such as Mrs. Filser and Mrs. Burkert. As a further commitment: We want to give the monthly prayer for peace more space, i.e. for those who can take part or support the prayer in their own way. On the first Thursday of the month, when it takes place, we will change the daily schedule and pray our Vespers at 5:30 p.m.so that sufficient time is left for people to participate [in the prayer for peace]. Praying the Novena – even though in a simplified form – we felt united to the Congregation as a whole. The provincial house in Finthen has always been an open, hospitable house for our Sisters, MaZ, neighbours and others. Now we are closing this house. 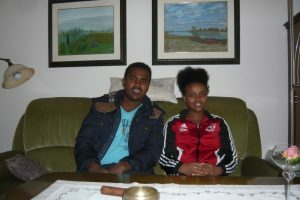 For almost one year we have given accommodation to a young, Coptic Christian couple from Eritrea. We regard it as our current responsibility to help them make a smooth transfer to another dwelling. For our young, Turkish household help we were able to ensure the continuation of her employment in the house. When we clear the house, we will remember persons who need specific pieces of furniture and what we do not need ourselves, we will donate to Caritas Mainz. Since 2014 we have been in talks with Sr. Ann-Maria, Leader of the Province regarding our future. 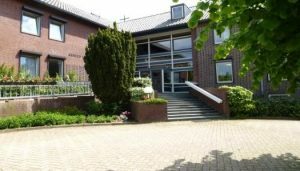 Although we did not find the decision easy, we expressed ourselves in favour of selling our convent, rounding off our apostolate in Wahlwiller and preparing for something new. Together with committed lay persons we are looking for ways in which our house can still remain a spiritual centre in future. Although we are very much involved with the process of letting go and saying farewell to Wahlwiller and all the obligations connected to that, we do not allow that to bind our attention but endeavour as far as possible to continue our mission service. Internally we continue to support people who come to us as guests and who are searching and questioning. 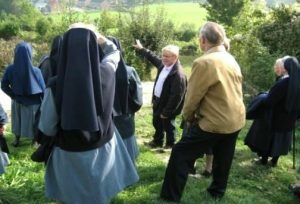 Externally (both as a main task and also as volunteers) Sisters take on visits to elderly, sick and lonely persons, care for funerals and many other pastoral ministries. With gratitude we look back on the blessings of the past 36 years. As missionaries we know that departure, saying farewell and beginning anew are a constant part of our life and we walk with openness and trust along the new paths wherever God wishes to lead us. That could have been the heading for our discernment process here in Frankfurt. 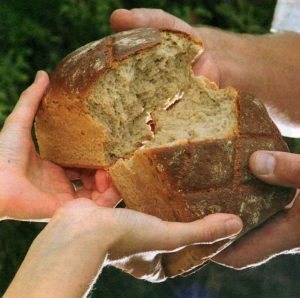 “toward communion” to invite people to share our community meal on Sunday after the Sunday Eucharist – in practice to invite people whom we meet, whether we made their acquaintance in the soup kitchen or among the parishioners. 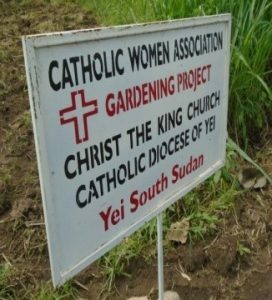 Yei, South Sudan Catholic Women Group made land productive and green surrounding through their group gardening and acceptance of young skills in the same endeavor. The groups is composed of 20 women, members of the Catholic Women Association. Every Tuesday and Thursday, they are working in the garden. 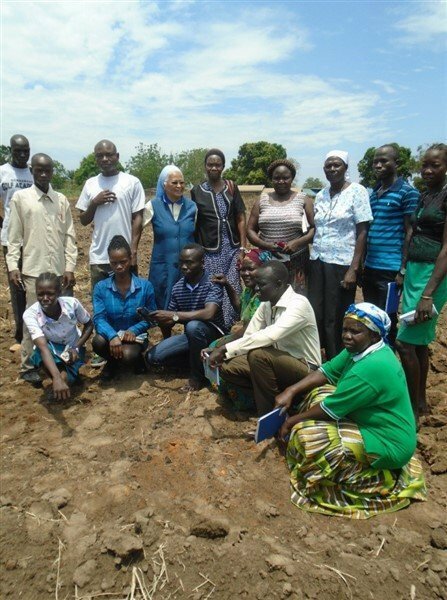 This is to make the land in the compound of the parish productive and to green the surrounding using their knowledge on agriculture and assisted by a technical know-how of agricultural students from Yei Crop Training Center. So the project employ the young skills of the students on agriculture which was accepted by the women. 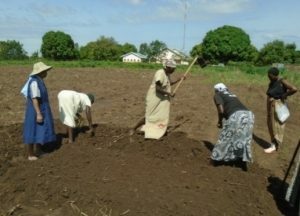 This is very unique in this project because the teamwork of young and elderly agricultural skills met to make land productive thus tapping its capacity to be fruitful. Human communion and relatedness in doing and sharing goodness is indeed blessed by the CREATOR God to be co- creator with him benefitting both the steward as well at the land to be source of food and refreshing environment. A vibrant life for our common home…for us likewise, as stewards of the said home. From unproductive to productive land- A teamwork of young and elderly knowledge attitude, skills and capacity as steward of our land…life in our common home for simple people in a village. 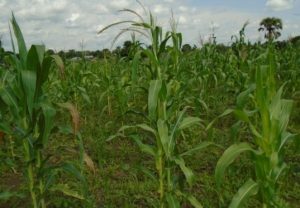 Before the conflict in S. Sudan on July 2016 the land is already productive with corn and vegetables. 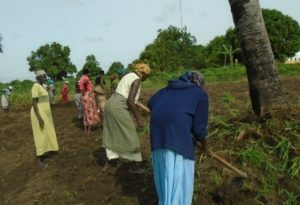 Despite of the conflict some of the members of the group who did not leave Yei to go to the bush because of fear from arising conflict continue the gardening. 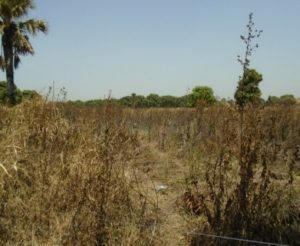 Now, that hunger lingers in Yei town because of conflict and closed borders of the neighboring countries the said land is the source of food—appeasing hunger. Students from Crop Training Center with the women –Garden visitation in preparation for the partnership in gardening activity.